Product prices and availability are accurate as of 2019-04-19 18:48:18 UTC and are subject to change. Any price and availability information displayed on http://www.amazon.com/ at the time of purchase will apply to the purchase of this product. 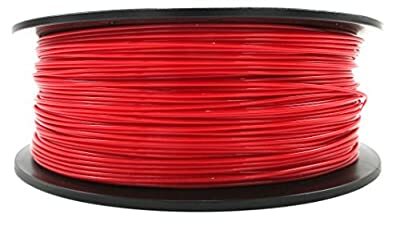 If you have been working with PLA and want something stronger but don't want the nasty toxic smell of ABS, then PETG is the filament you. You will need to do a little temperature adjustments and some adjustments on flow rates to get your prints where you want them. The extra little time you will spend setting up your prints will be well worth it. Great vibrant colors and incredible strength. 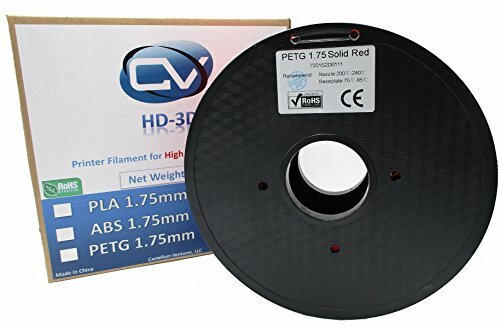 This filament is just plain fun and will surprise you at the quality of the parts that you will get from your prints. PETG (Polyethylene terephthalate glycol modified) Filament Flexible yet crazy strong Does not disolve in acetone Print Temp: 200°-240°C : Bed/Platform Temperature: 75°-85°C Spool Diameter: 8" : Spool Width: 2.5"